When we first decided to add Cava to our illustrious list of sparkling wines, we were looking for the best of the best. Enter Cava Gramona, one of the most highly regarded and respected Cava producers but also, and I have no qualms about saying this, one that ranks among the best sparkling wine producers in the world. Cava Gramona was founded in 1886 as Celler Batlle, at the time the biggest négociant business in Penedès. Gramona’s journey to producing “Champan de Cava” began in earnest in 1921 when the bodega released its first own Cuvée, made from indigenous varieties. Gramona’s focus has always been on complexity achieved through long ageing on lees – but more recently, the current, fifth generation of Gramonas (cousins Jaume and Xavier) has focused on sustainability and ecological practices. Today Gramona farms organically and the Cavas will be certified biodynamic as of the 2014 vintage. Gramona grows their own herbs and makes their own compost. Chickens roam freely around the farm and sheep graze on the grass, keeping it in check. Additionally, the winery (built in 2001 on the Font de Jui site) takes advantage of geothermal energy – the pipes go down 130 metres and this saves about 50 percent of the electricity demands. In the milder climate of Penedès, it is somewhat easier to be organic and biodynamic than somewhere like Champagne, and other Cava producers are following Gramona’s example and moving in that direction. Gramona’s estate vineyard, Font de Jui, was recently classified as a “Paraje Calificado” as part of the newly established and highest-quality category of Cava with some of the strictest production rules of any sparkling wine category. 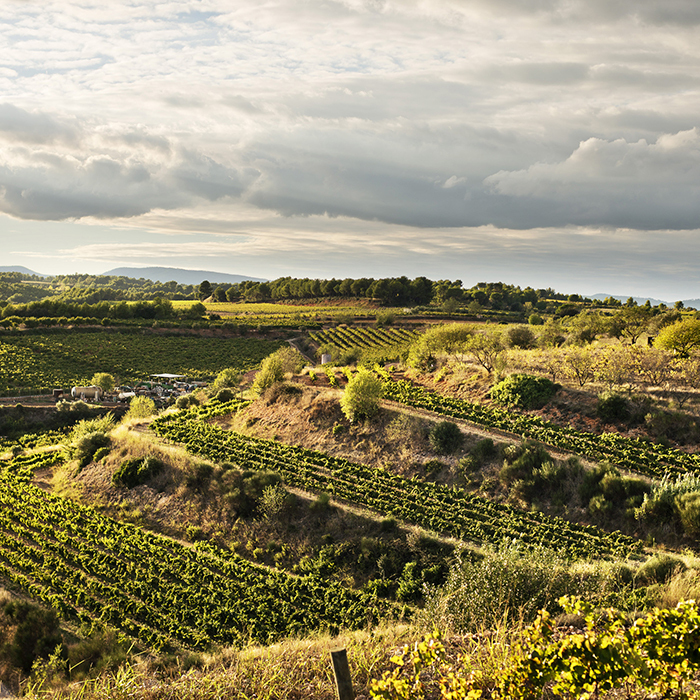 Only eight other producers have the right to produce single-vineyard Cava. The three Cavas from the Gramona range that can bear this aspirational classification are III Lustros, Celler Batlle, and Enoteca. With over 12 years on lees, Enoteca is the longest-aged Cava on the market and offers the sort of complexity and vivacity that can put some very expensive Champagnes to shame. Most Gramona Cavas are designated as Brut Nature, as the high complexity and intensity of flavour achieved through such long ageing doesn’t often require the addition of dosage. Any dosage that is used – for instance in their younger wine, Imperial (aged “only” for five years on lees) – comes in the form of a fortified wine aged in a 120-year-old solera, a nod to the olden days when such practices weren’t entirely unheard of. These Cavas are fantastic; chances are you may have never tried anything similar and will be amazed by their quality, versatility and drinkability. Cava Gramona’s long tradition of producing high-quality, long-aged Cava is epitomised by this complex and inviting wine, Imperial. Based on Xarel·lo and Macabeo, with a small addition of Chardonnay, Imperial is aged on lees for five years, giving the wine an exquisite, creamy mousse. The fruit profile is layered, with dried flowers, hay and fennel mingling with notes of freshly baked bread and patisserie. Uniquely for this wine, the dosage comes from an hundred-year-old solera, adding just a touch of richness and nuttiness to the finish. This is a Cava that can match a variety of dishes, from appetisers like nuts and olives to white fish.